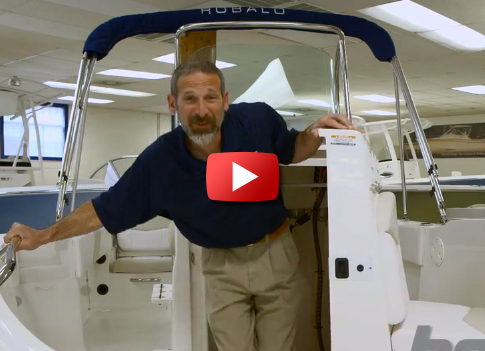 You want a brand new fishing boat but don’t have big bucks? These 10 under $20,000 make the grade. 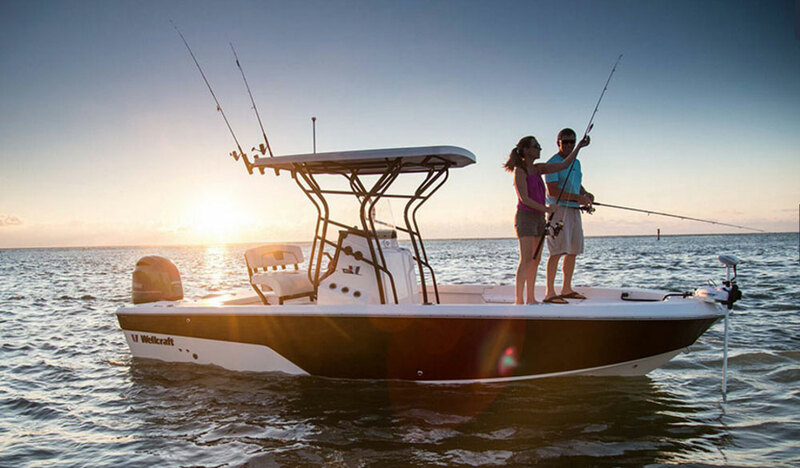 Sure, we’d all love to be king of the sea with a brand new rockin' cool center console fishing boat like a HCB Custom Boats 53 Suenos, a Grady-White Canyon 456, or a Boston Whaler 420. But few of us have millions of dollars to drop on a whim. Even a medium-sized fishing boat, like a Sportsman 282, can cost as much as an average American’s home (in the $150 to $175K range). And if you think going small is going to solve this problem, you have another thing coming—drop down under 20’ and you’ll still find that many fishing boats (like the Crestliner 1850 Raptor) still regularly break $35,000. Here's a quick peek, however, at three brand new models listing at under $20,000. Now remember, we made that video over two years ago and pricing for the boats we mentioned has changed a bit. But the Mako and Lowe are still well under $20,000, and the Bayliner Element 18 is now just over it. You want to see some more financially-restricted options? Fear not, fish-heads. 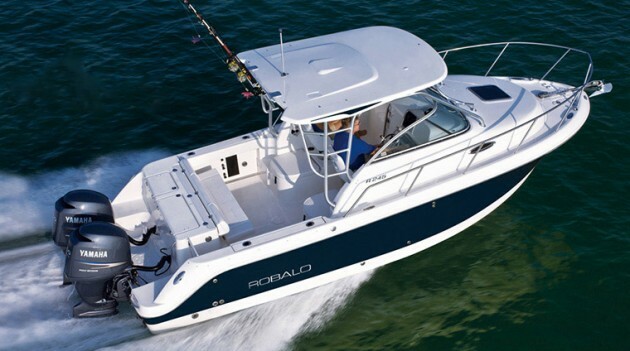 There are plenty more deals out there on low-cost new boats, and all 10 we’re going to discuss today are built by reputable American boat-builders, with a base price of less than $20,000. Though the F18 is now just out of our price range, there’s still an Element available for under $20,000. Built on Bayliner’s unique “M” hull (think: cross between a V-hull and a tri-hull), the Element F16 starts out at a reasonable $16,499. That gets you the boat-motor-trailer package with a Mercury 60 ELPT FourStroke, which is exactly how our test boat was powered when we ran our original Bayliner Element review. And this package provides plenty of pep, with a cruise in the mid 20s and a top-end of just over 30 MPH. Sure, there are some minor signs of cost-cutting (such as plastic latches where stainless-steel would be preferred, and hatches that are unfinished on the underside), but nothing major is amiss. Plus, the F16 has an all-fiberglass stringer system and is self-bailing. See Bayliner Element F16 listings. It’s not the biggest nor the fanciest boat around, but the Carolina Skiff 18 JVX will get the job done. Carolina Skiffs are known for being about as simple and Spartan as boats get, but this can be a good thing — they’re also known for being rugged, easy to care for, and inexpensive. And in all of these cases, the Carolina Skiff reputation is well-deserved. In fact, the 18 JVX provides one heck of a LOA-per-dollar bang for your buck. You’ll see it priced at under $20,000 with a powerplant in the 50 to 70 HP range. That sounds surprising? Just check out these Caroling Skiff 18 JVX listings for yourself. 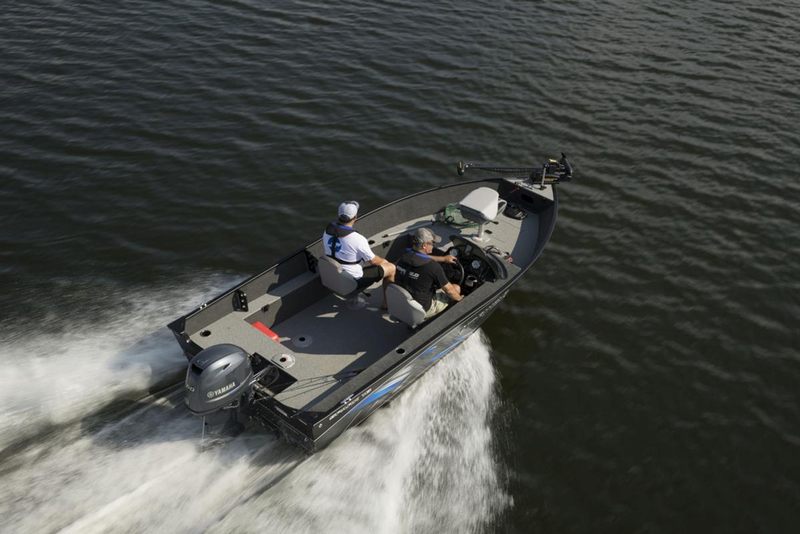 The Crestliner 1800 Kodiak looks sharp and is ready to fish – for well under $20,000. With a 60 horse outboard, a trailer, and plenty of options included the Crestliner 1800 Kodiak will still beat our price mark by a mile. We shot a video boat review of a previous Kodiak 16 SC model, which you can check out to get a read on this boat’s now-larger attitude. 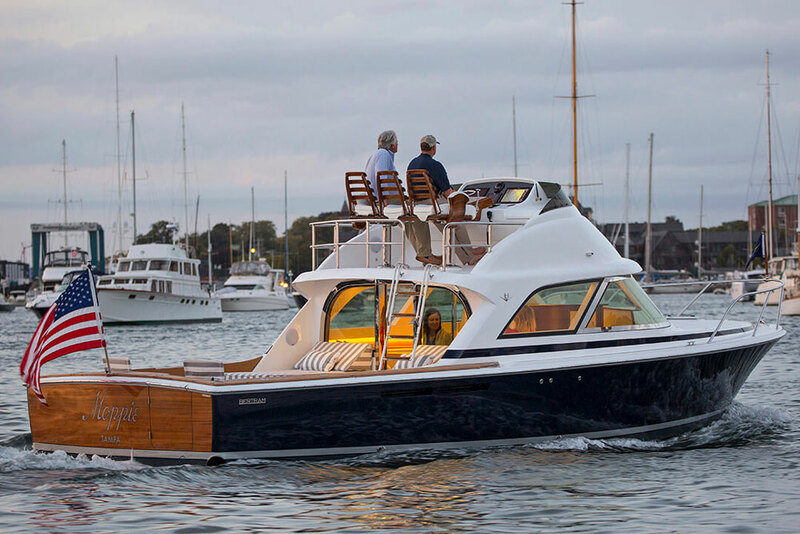 A few highlights: top-end with a 60 HP powerplant is 34 MPH, the reverse-chine hull does a great job of knocking down spray, and the boat is built with rugged touches like full-length piano hinges on the hatches, extruded aluminum gunwales, and a bedliner-like material covering the aluminum decking. See Crestliner 1800 Kodiak listings. Jon boats come in all different sizes, but one thing they all share in common is a low, low price tag. 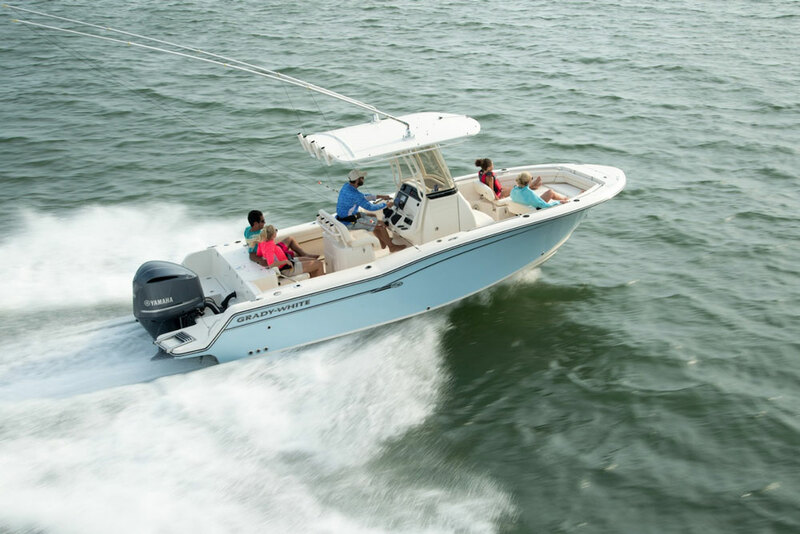 Yes, we know jon boats are a type and not a specific brand and model, but anglers looking for a fishing boat under the $20,000 mark will have a plethora of choices that fall into this category – too many to list out the individual options here. Jon boats are so simple yet capable, easy to own and operate, and can provide so much fishing utility that we just simply can’t fail to include them as one of our top 10 picks. To learn all about this genre, see Jon Boats. Or, see some jon boat listings. The Lowe Stryker 16 gets you into a brand new boat at unbelievably low numbers. Set up with a 9.9 HP outboard you can get a Lowe Stryker for as little as $11,447, but we certainly don’t suggest considering that package. Opt up to a 40 or 50 horse rig, price barely breaks $15,000, and you’ll enjoy some zippy performance. 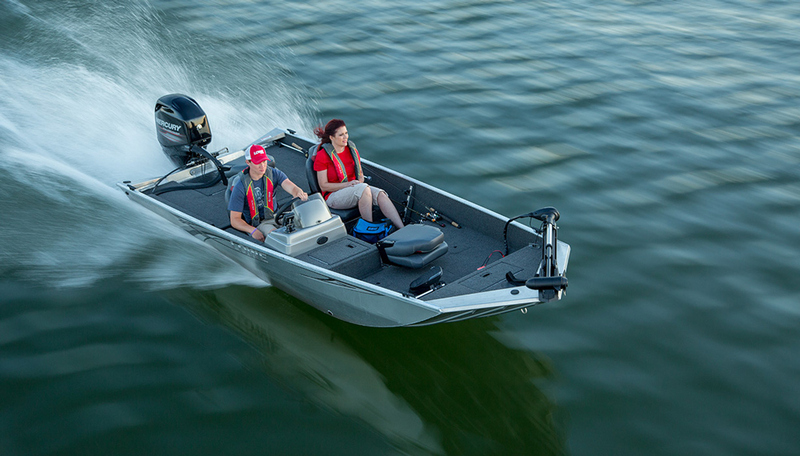 In fact, we tested this boat with a 50 HP powerplant and cruised in the upper 20s, while breaking 36 MPH at top-end. (See Lowe Stryker: More Boat, Less Money, to read all the details). See Lowe Stryker 16 listings. 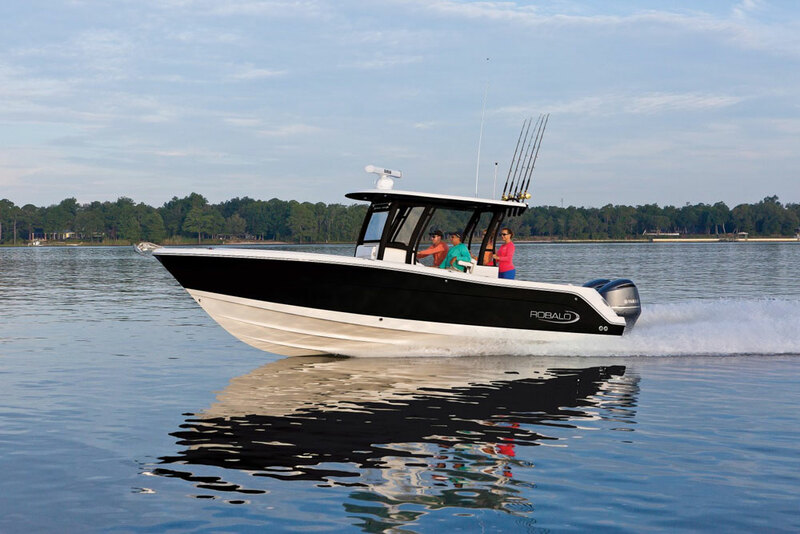 With its one-of-a-kind hull, the Mako Pro Skiff is unique among its peers. 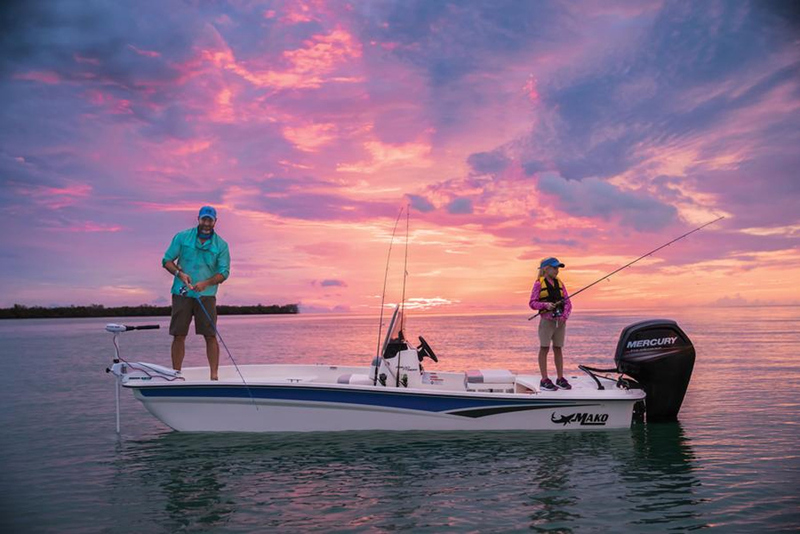 The Mako Pro Skiffs were big news when they first hit the water, and we reviewed both the smaller model (Mako Pro Skiff 16 Center Console: Small Wonder) and its larger sibling (Mako Pro Skiff 17 Center Console: A Hull New Innovation) at that time. 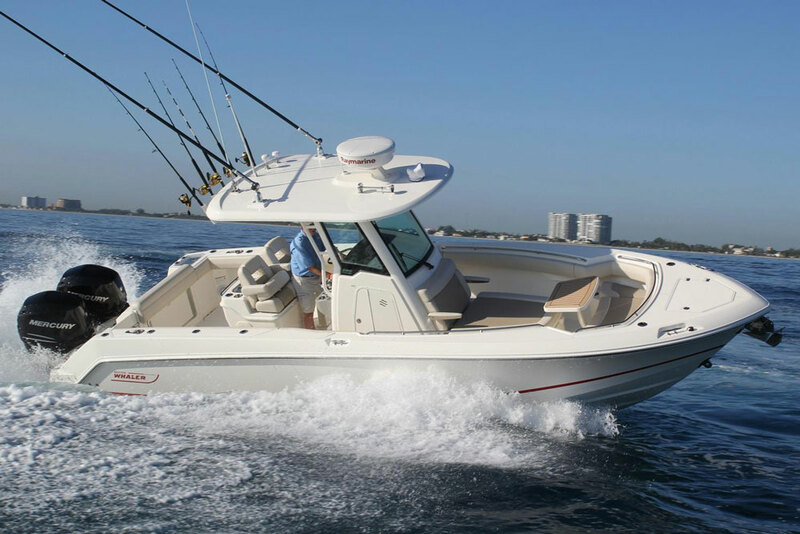 In fact, when it was newly introduced this boat made our list of the Top 10 Fishing Boats of 2012. And yes, it still costs less than $20,000 today. 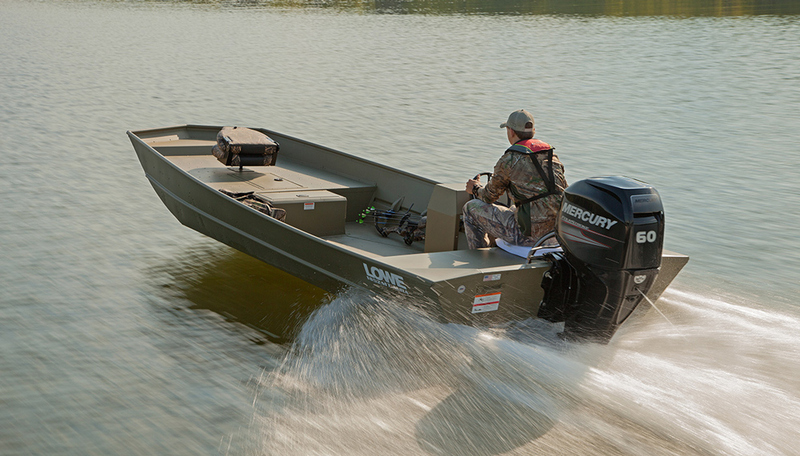 In fact, the Pro 17 Skiff CC MSRPs at $17,795 with a 60-horse Mercury outboard and a trailer. The console is rotomolded plastic instead of fiberglass and the livewell holds a meager eight gallons, but otherwise we love this boat from stem to stern. And foot for foot, the “inverted V” hull design is about as smooth as they come. 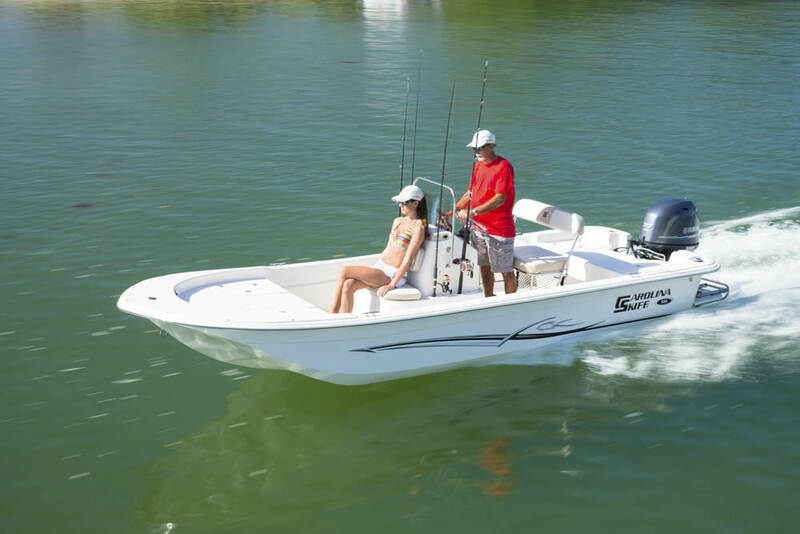 See Mako Pro Skiff 17 CC listings. 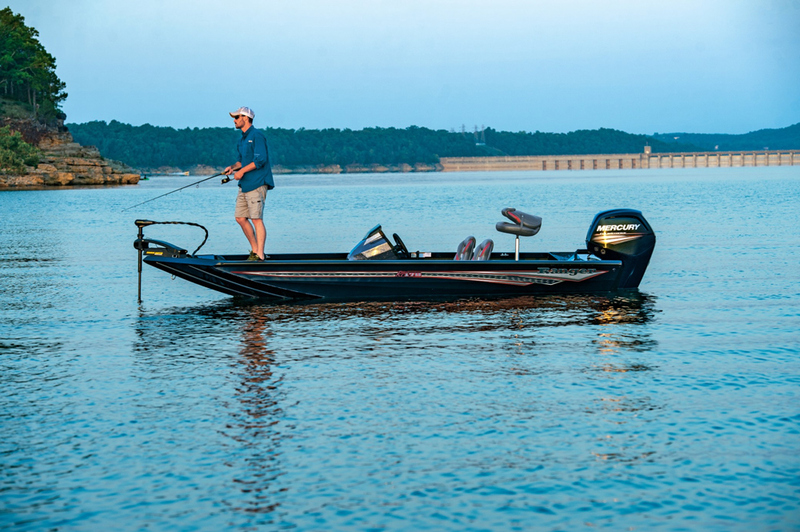 The Ranger RT178 sports a serious list of standard features and is ready to fish right out of the box. With an MSRP of $19,795 (with a 60 horsepower Mercury) the Ranger RT178 scoots in just a hair below the 20K mark, and we must note that after paying taxes and filling the fuel tank, this budget will be busted. That said, it comes with such a long list of standard features that spending more dough on options won’t be necessary. Everything from the trailer to the Minn Kota Edge45 electric trolling motor to the onboard Dual Pro battery charger is included in that list price. Added bonus: you even get your choice of color patterns, with urethane paint and custom Ranger graphics. We haven’t run the Ranger RT178, but you can gain a lot of insight into how Ranger builds and designs their aluminum line by checking out our Ranger RP 190 review. 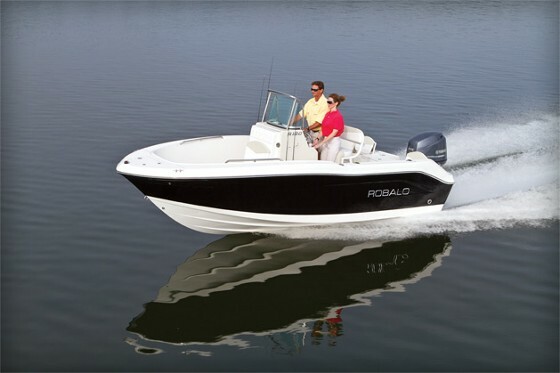 With a mere 50 horses on the transom, the Starweld Spark 16 has plenty of pep. Starting several thousand dollars under the bar, the Starweld Spark 16 comes with a slew of standard features you don’t expect at the price-point. Two fishing seats, a 30-gallon livewell with integrated bucket, locking rod stowage, and lighted rocker switches are all on the list. More importantly, this boat is constructed with .100 gauge aluminum, while many competitors of this size use .080 gauge. This is a newer model but see our Starweld 1600 Pro SC video boat review, to get a glimpse of this model’s predecessor in action. See Starweld Spark 16 listings. 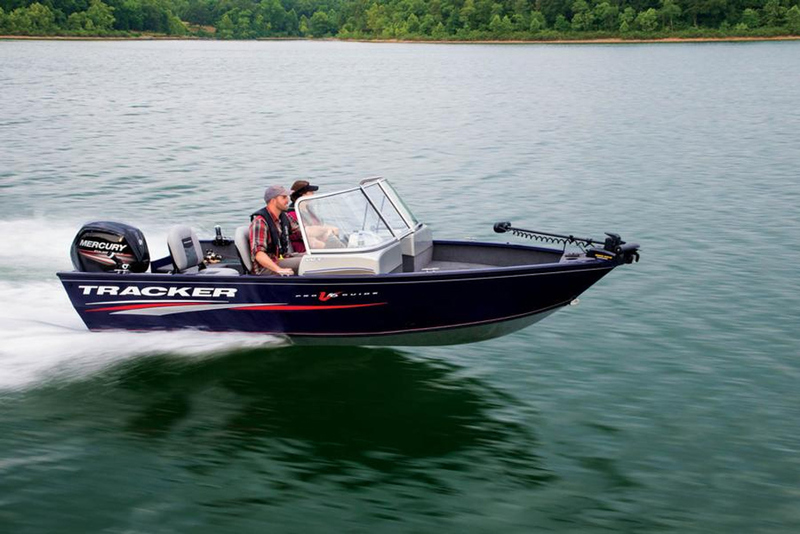 If a pontoon boat is they type of fishing boat you need, the Sun Tracker Bass Buggy 16 DLX is a boat you’ll want to look at. The Sun Tracker Bass Buggy 16 DLX lists at a mere $13,695 with a 25 horsepower outboard, and another $2,025 gets you a trailer, too. We note that the outboard is rather wimpy, but on the small ponds and lakes where this boat is likely to shine, more power probably isn’t necessary. 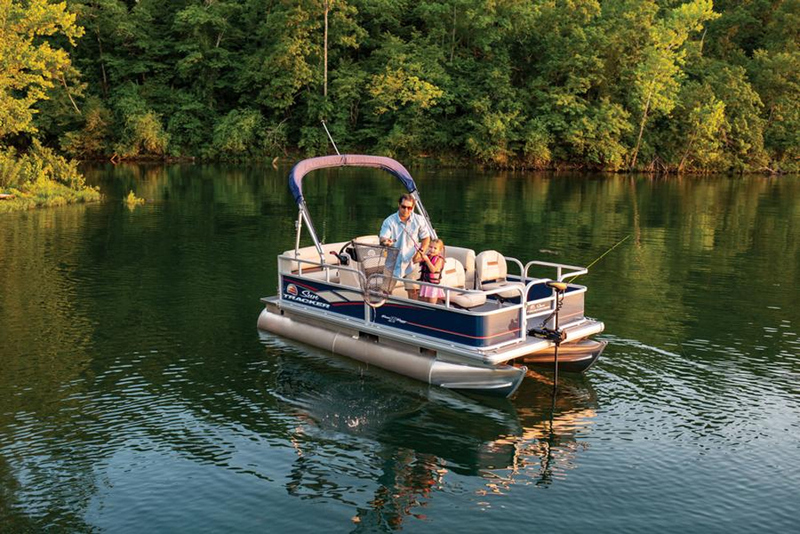 Plus, as far as pontoons go, this one’s rigged right for the sport you love – it has a nine-gallon aerated livewell, two bow fishing seats, and vertical rodholders. Chip in another $1,035 to get the Fish Package, which gets you a Hook 4x fishfinder and a 55-lb thrust Minn Kota electric trolling motor. For more information read our review of the Sun Tracker Bass Buggy 16. See Sun Tracker Bass Buggy 16 DLX listings. The Tracker Pro Guide V-16 WT will prove competent in a number of different fisheries. Coming in at $18,295 with a 60 horse Mercury on the back and a trailer under the hull, this rig has the protection of a tall windshield, a deep-V 20-degree hull, and the tall bow you’ll want to take on relatively big water with a relatively small and inexpensive boat. On top of that, aluminum is a great material for boats of this size and nature. Read more about aluminum fishing boats, to learn why. See Tracker Pro Guide V-16 WT listings. Editor's Note: To learn more about fishing boats in general, read the comprehensive Fishing Boats article in our Resources section. 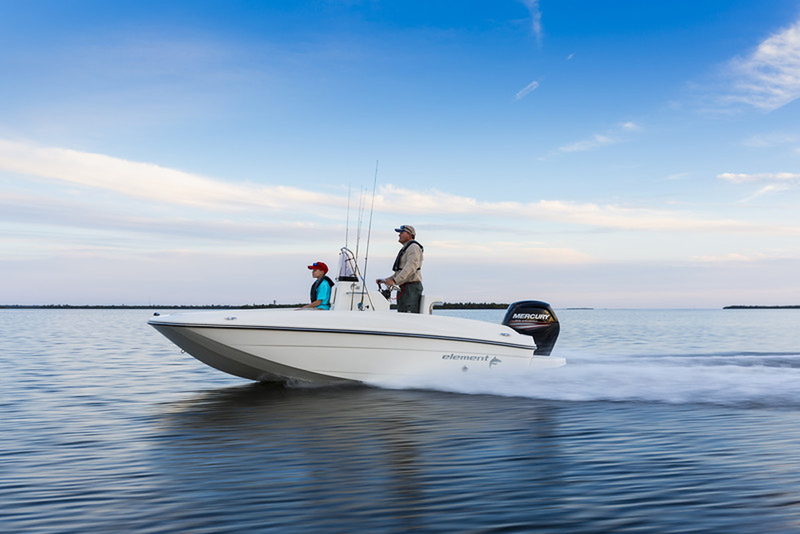 To study up on sweetwater fishing machines, check out Freshwater Fishing Boats 101. And you salty folks can sharpen your wits, too, by reading all about Saltwater Fishing Boats. This article was originally published in January 2016 and updated in November 2018. *Pricing information included in this article is current as of 10/6/2018.